How Do I Set Up Medical ID On An iPhone? Here's The Truth! You are at:Home»iPhone»Apps»Health»How Do I Set Up Medical ID On An iPhone? Here’s The Truth! You want to be prepared in case of an emergency, but you’re not sure where to begin. 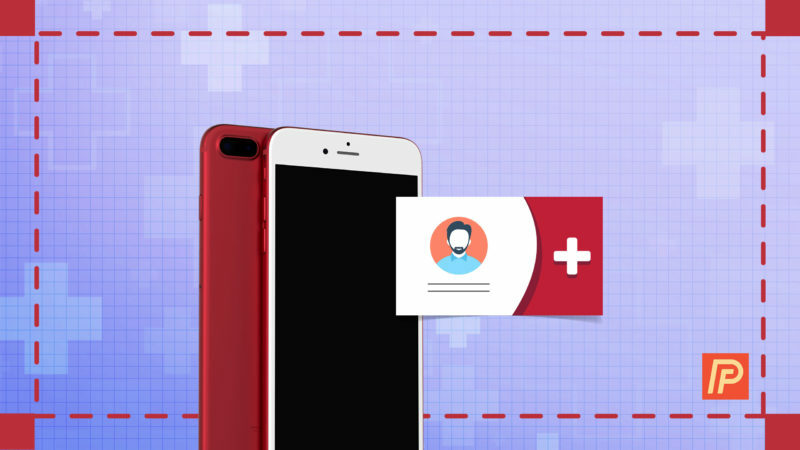 Medical ID makes your iPhone a useful tool if you or someone you know is ever in an emergency situation. In this article, I’ll explain the benefits of Medical ID and show you how to set up Medical ID on an iPhone. Why Should I Set Up Medical ID On My iPhone? Medical ID saves your personal health information on your iPhone, making it easily accessible if you ever find yourself in an emergency situation. You can save personal data such as your medical conditions, medical notes, allergies, medications, and much more. Tap the Medical ID tab in the lower right-hand corner of your iPhone’s display. Enter your personal information, then tap Done in the upper right-hand corner of the screen. If you ever want to update your Medical ID, tap the Edit button to the right of Updated. Now that Medical ID is set up on your iPhone, you can quickly access it by activating Emergency SOS. To activate Emergency SOS, quickly press the Sleep / Wake button (power button) 5 times consecutively. When you do you’ll see 3 sliders: one that turns off your iPhone, one that calls emergency services, and one that takes you to your Medical ID. Emergency SOS was reintroduced to iPhone users with the release of iOS 11, which was made publicly available in Fall 2017. To learn more about Emergency SOS, read our article What Is Emergency SOS On An iPhone? Here’s The Truth! Medical ID: All Set Up! You’ve successfully created a Medical ID and now you’ll be more prepared if you ever find yourself in emergency situation. If you haven’t added an emergency contact to your iPhone, now would be a good time! 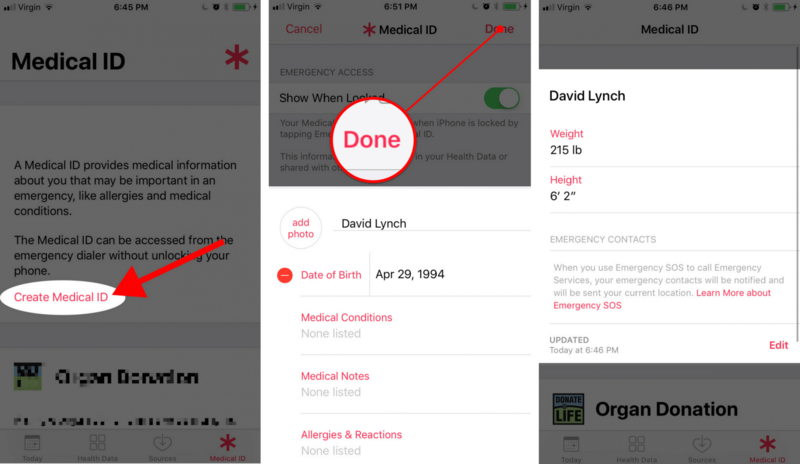 Now that you know how to set up Medical ID on an iPhone, make sure to share this article with your friends and family to they know how to create a Medical ID too. Thanks for reading and stay safe! Previous ArticleHow Do I Connect An iPhone To Car Bluetooth? Here’s The Truth! Next Article Virus Detected On iPhone? Is It Legit? Here’s The Truth!